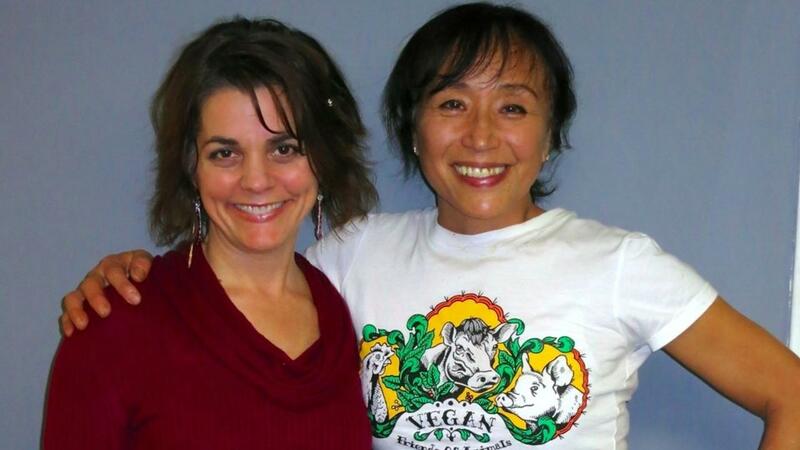 Miyoko Schinner is an amazingly creative and dynamic force in the world of food. 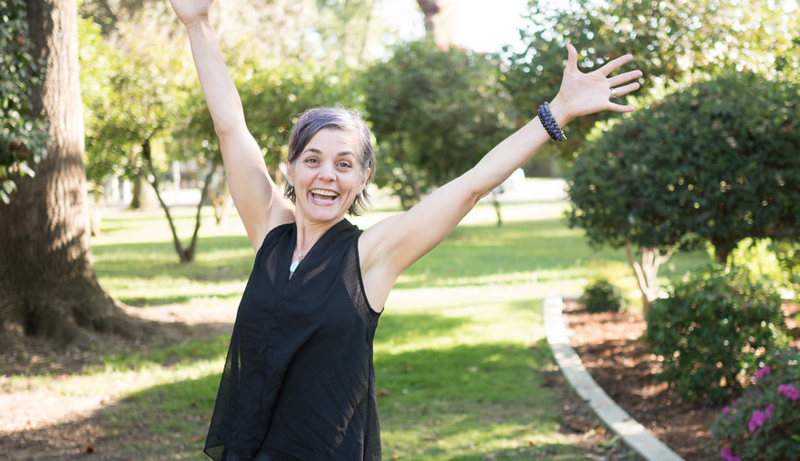 A veteran vegan chef, she's been both an entrepreneur and bestselling cookbook author for many years, and she's a hero of mine. Her most recent inspiration has been revolutionizing vegan cheeses and people everywhere are going wild for her Artisan Vegan Cheese recipes; everything fresh mozzarella to wine-brined aged cheddar. UPDATE: You can now order Miyoko's cheeses to be shipped directly to your door! Allison Rivers Samson: You went vegetarian at 12 years old, and vegan in your twenties. What was the catalyst for those changes? Miyoko Schinner: I became a vegetarian overnight when I was 12 after returning from a school camping trip where I had been put in the vegetarian food group. My mom put my favorite dish, pork chops, in front of me, and for the first time, I saw it for what it truly was. I pushed away the plate, and figured that I'd "get over it" in a week or so. Well, I didn't, and I never looked back. That was also the catalyst for learning how to cook as well, since my mom decided she wasn't going to cook separate meals for me a few months later. I think she was trying to get me back to eating meat, but I just decided to learn to prepare my own meals. In my twenties, the health consequences of dairy-rich food (yes, I LOVED cheese, heavy cream, and all things dairy!) began to scare me, and I started experimenting with vegan alternatives that would satisfy my taste for rich food. ARS: On your website you say that you want to encourage people to get into their kitchens and make "real food, slow food, beautiful food – vegan food." Sounds perfect to me! To some, that may seem like several different food philosophies rolled into one. Does that basically sum up your personal approach to food? MS: Does that seem like several different philosophies? I guess in my book real food is slow food - not instant or processed. And slow food is beautiful food. And the only food that can be beautiful is vegan, because it hurts no one. So, if a equals b, and b equals c, then a must equal c, and by that same logic, real food is vegan food! ARS: I completely agree! You were born in Japan, and lived there again in your 20s. How has your experience of Japanese cuisine influenced you as a chef? MS: That is a really great question. When I lived in Japan in the 1980's, I was astounded by the culinary scene, which was in a different stratosphere from where the US was at the time. The Japanese invented "fusion" before that word even existed here. They borrow from all cultures, and merge it with theirs to come up with things that are entirely their own. Historically, their tastes run to clean, pure, subtle flavors, favoring a harmonious balance of a few ingredients rather than a laundry list of flavors and textures that complicate and often distract from the purpose of the dish. Sometimes I think my dishes are too simple, but then I go out and eat dishes that have so many things going on that I don't know what I'm tasting. ARS: I've had that experience at restaurants too. Now I know that at some places I need to keep the menu so that when the food arrives to the table, I can read back over what's on my plate! 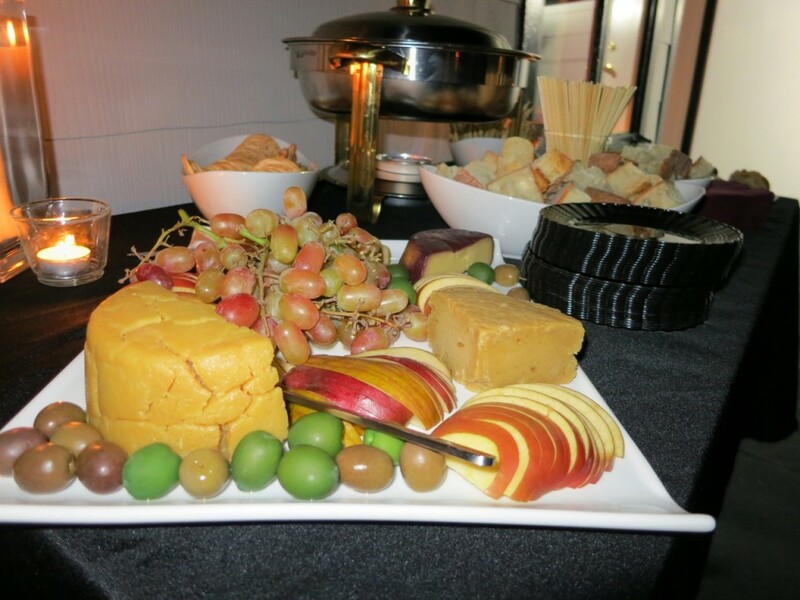 ;-) I had the great pleasure of tasting some of your amazing cheese creations at the VegNews staff party this winter and was completely astounded and absolutely impressed! In making your cheese recipes, you must have done some serious research and even learned some chemistry to truly understand what makes cheese cheesy. What's the most surprising thing you learned? MS: I think the most surprising thing I've learned is about fermentation and culturing. Like many people, I was initially afraid of all of the experiments I was doing at room temperature. I figured I'd get sick or eventually die from my bold cheese experimentation. I didn't realize how lactic acid bacteria actually wards off the bad bacteria. Just this evening, I pulled out a truffled brie from the back of the fridge tonight, and scraped off some of the funky stuff on the surface. It must have been there for a couple of months, and I originally made it to be served within a couple of weeks. Well, it had developed that musty, funky, deep flavor reminiscent of its dairy counterpart, and we couldn't resist finishing it off in minutes. ARS: That sounds a little bit intense, and totally amazing! Recently, you're best known for your artisan vegan cheeses, though you've been around the vegan business block several times. Many years ago, when I had started my business, I originally learned about you through your company, Now and Zen, which offered Hip Whip and The UnTurkey. MS: You're not kidding about being around the block a few times. When I wrote my first cookbook, The Now and Zen Epicure, it was considered one of the first "gourmet" vegan cookbooks. Back then I had a vegan restaurant and food company, Now and Zen, all pre-internet. Yes, the UnTurkey! Thanks for remembering. 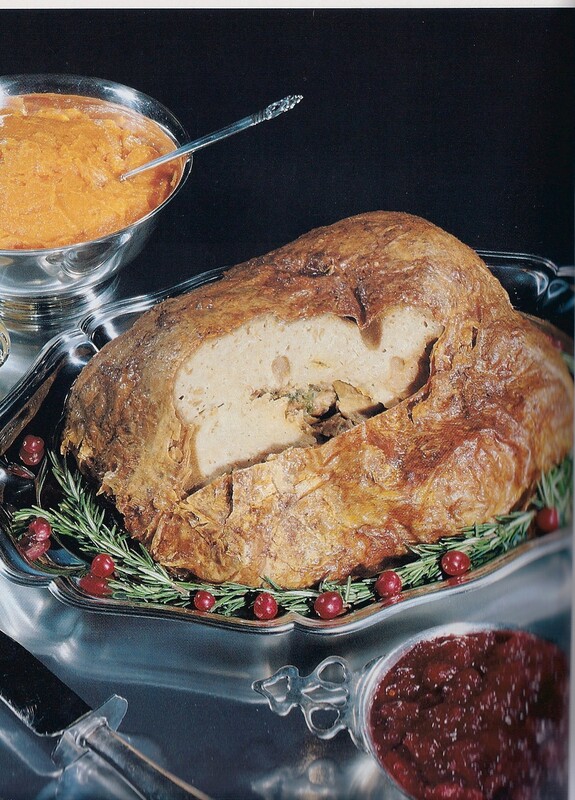 We were once the biggest competitor to Tofurky. But ours had this wonderful, succulent "skin" made from yuba. That was a lot of fun, but as you know, a lot of work! ARS: Why yes, I DO know it's a lot of work! When we met, we discovered that we have very similar tastes for our personal eating styles, which are whole-foods, pure ingredients and sometimes on the simpler side. We also talked about the joys of occasional indulgence in rich and decadent savory foods. With your expert skill in seitan and many other vegan delicacies, what's your favorite decadent vegan recipe? MS: That is really hard to answer. I go through periods of craving different things. In the summertime, I have to restrain myself from pouring oil to fry up zucchini blossoms filled with "muenster." Speaking of oil, sometimes I just have to have some expertly made tempura. I also like sopping up the juices and olive oil from a roasted ratatouille with a good chunk of fresh bread. Fleur de Lys, a French restaurant in San Francisco, offers a vegan tasting menu that will make you want to scrub floors for the chef/owner, Hubert Keller. 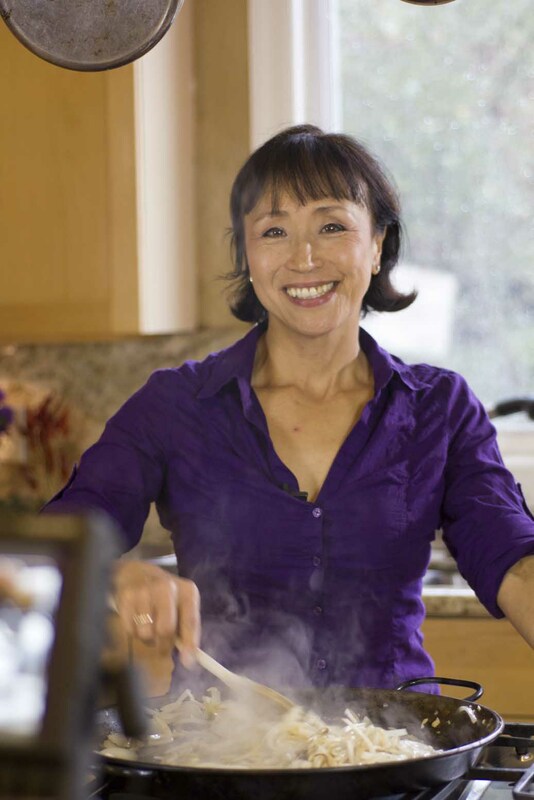 Thanks so much for chatting with me, Miyoko, and for sharing your outrageous cheese recipes with the world. What a gift!